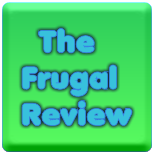 FRUGAL REVIEW: Tons Of New Grocery Coupons And Free Samples! Free Sample of Fancy Feast Purely Thoughtful Cat Food! Renuzit Pearl Scents - Free After Coupon at Kmart! Boogie Wipes - FREE at Dollar Tree with Coupon! Save $1.50 On any THREE (3) Classico® Red Sauce Products (24 oz or larger).Expires 10/1/2015.Save $1.50. Save $1.00 when you buy ONE (1) BAG any flavor Nature Valley™ Protein Soft Baked Granola Bites..Expires 9/30/2015.Save $1.00. Save 75¢ when you buy any ONE (1) BOX Kix® cereal listed: Kix®, Berry Berry Kix®, Honey Kix®..Expires 9/30/2015.Save $0.75. Save $1.00 when you buy FIVE (5) BOXES any flavor Helper™ OR Ultimate Helper™ Skillet Dishes..Expires 9/30/2015.Save $1.00. Save 75¢ when you buy ONE (1) any variety Old El Paso™ Taco Boats™ Dinner Kit OR Soft Flour Tortillas..Expires 9/30/2015.Save $0.75. Save 50¢ when you buy TWO (2) BAGS any 3.7 OZ. OR LARGER Chex Mix™, Chex Mix™ Muddy Buddies™, Chex Mix™ Popped™, Chex Mix Xtreme™, Chex™ Chips, Bugles™ Corn Snacks, OR Gardetto's™ Snack Mix..Expires 9/30/2015.Save $0.50. Save 50¢ when you buy TWO (2) any flavor Box or Pouch Betty Crocker™ Potatoes (Excludes Potato Buds™)..Expires 9/30/2015.Save $0.50. Save $1.00 when you buy ONE (1) BOX any flavor LÄRABAR™, ÜBER™, or ALT™ OR RENOLA™ multipack..Expires 9/30/2015.Save $1.00. Save 75¢ when you buy ONE (1) BOX Old El Paso™ Bold Flavored Stand 'N Stuff™ Taco Shells OR Dinner Kit..Expires 9/30/2015.Save $0.75.